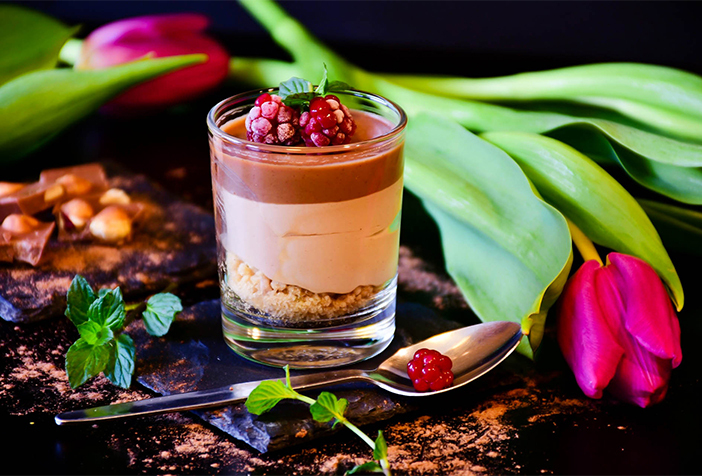 Chocolate products and trending chocolate cafés become a craze every February in anticipation of Valentine’s Day. If you are planning a trip to Korea with your special someone, consider adding a visit to a chocolate dessert shop to your schedule. Here’s a list of five must-visit chocolate cafés for the most romantic and sweetest date ever! Cacaodada gets its name from a combination of the cacao bean and Daily Daily, emphasizing their desire to provide the freshest chocolate. 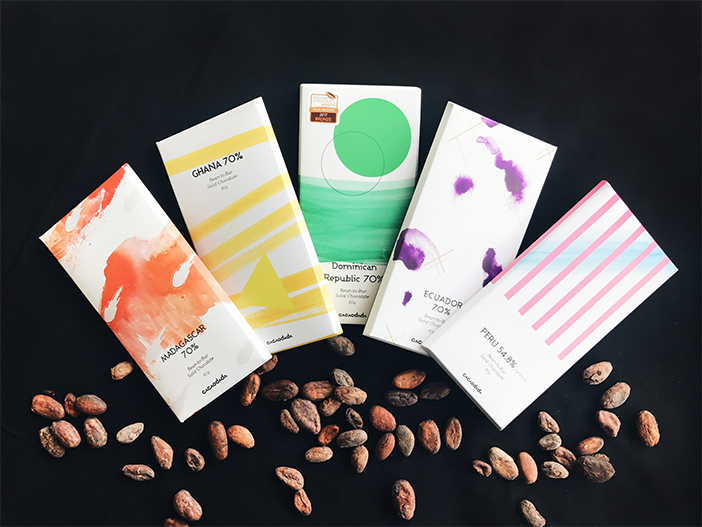 They purchase cacao beans from across the globe, creating their rich chocolate from cacao beans and sugar without any additives. Like coffee, each chocolate has a slightly different taste depending on the bean’s origin and preparation process. The café’s signature item is the bean-to-bar chocolate, allowing one to experience the many tastes of chocolate. For something a bit sweeter, try their decadent 1++ chocolate brownie. 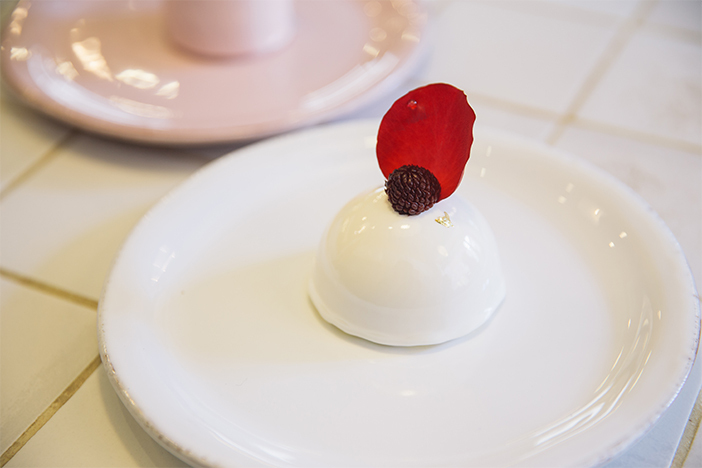 Featured in the Korean variety program “Wednesday Food Talk,” Little & Much is a mousse cake café operated by a married couple. 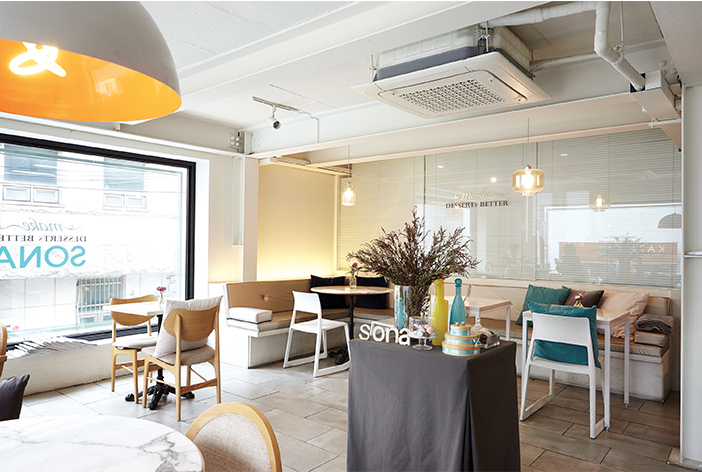 The signature menus of this café are strawberry cheesecake and blanc-white chocolate dome cake. Each bite of strawberry cheesecake bursts with the flavor of refreshing raspberries while the soft cheese melts in your mouth. Blanc-white chocolate dome cake presents a fascinating combination of refreshing passion fruit cream and crème brûlée covered with a dome made of white chocolate. With a name coming from the chocolate tree, Cacao Boom makes traditional Belgian ice cream. Introduced in the ice cream episode of the “Wednesday Food Talk,” Cacao Boom is famous for its creamy gelato. 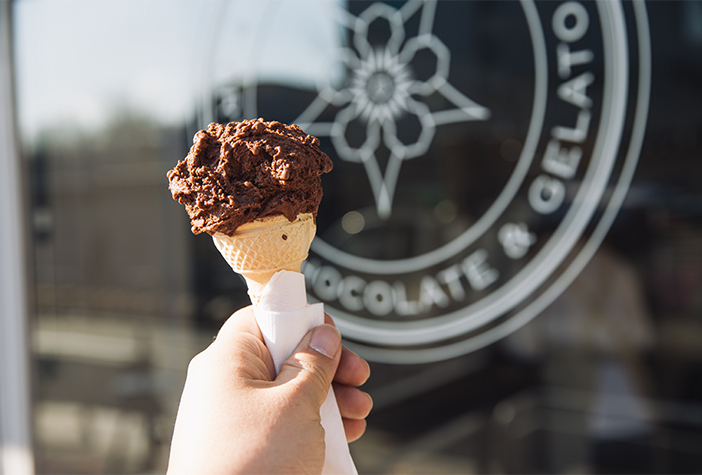 The gelato comes in five different flavors with varying cacao contents. The signature flavors are Strong Chocolate and Fior di Latte. Fior di Latte is sweet followed by a simple aftertaste while Strong Chocolate bursts with chocolaty richness. 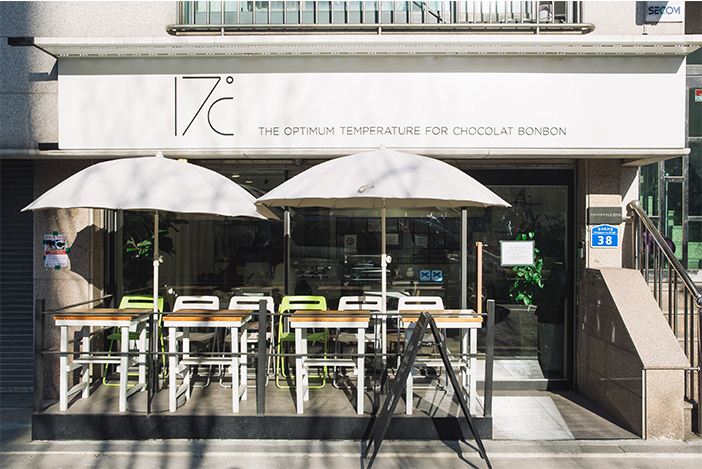 Grabbing the attention of passersby with its name, 17℃ refers to the temperature used to preserve chocolate at its finest state. The café presents a wide variety of hand-made chocolates, including chocolate bars and café menus like chocolate cakes and chocolate drinks. In particular, you can control the level of cacao in your chocolate drink according to your preference, ranging from very strong to very light. * This column was last updated in January 2019, and therefore information may differ from what is presented here. We advise you to check details before visiting.